Onetime light-heavyweight title challenger John “Iceman” Scully is known to be as good a boxing philosopher as he is a trainer and fighter. Working out of the Ring 159 Gym in his hometown of New Windsor, Connecticut, Scully trains or has trained Lawrence Clay-Bey, Scott Pemberton, Chad Dawson, Luis Maisonet, and Pito Cardona. He also works with red-hot featherweight prospect Matt Remillard, who says no one amps him up more than the Iceman. Besides training boxers, Scully – who traveled the world fighting such championship caliber opponents as Henry Maske, Graciano Rocchigiani and Michael Nunn, as well as working as a sparring partner for many of boxing’s elite – Scully has an abundance of colorful tales to tell. Probably the man to have the most influence on the now 38-year-old Scully is Ali. Scully read his autobiography “The Greatest” when he was about eight-years-old. Ali wrote that he knew as a youngster that he wanted to be a world champion. To help achieve that lofty ambition, he never smoke or drank. Scully never held a world title, but he has an awful lot to be proud of. While compiling a 57-13 amateur record, he won several national tournaments. Fighting professionally from 1988-2001, he amassed a record of 38-11 (21 KO) against some formidable opposition. The highlight of his pro career was actually a 12-round decision loss to Nunn for the WBO’s NABO super middleweight title in December 1995. Scully recently received a letter from Nunn, who is serving more than 20 years in federal prison for drug trafficking. He gets emotional when talking about his onetime ring nemesis. Scully also has great respect for Maske, whom he unsuccessfully challenged for the IBF light heavyweight title in Leipzig, Germany, in May 1996. Even though Scully’s mother Carol was dying of cancer at the time, he concedes that he probably would not have been able to beat Maske, even under better emotional circumstances. “I was training in Florida and called home to see how my mother was doing, and the police answered the phone,” said Scully, who lost a 12-round decision. “My mind was elsewhere, but I don’t think it would have mattered against Maske. 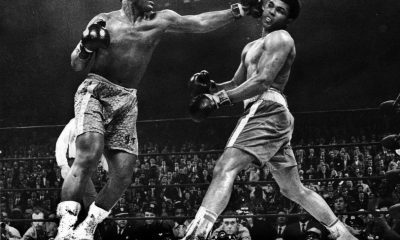 He was a 6’4” southpaw who approached boxing like fencing. In Germany they really appreciate that style of fighting. Scully also traveled to Deutschland to fight Rocchigiani, a tough crude brawler who was everything that Maske was not. Ice lost a 10-round decision to him in Berlin in March 1997. When the bell rang for the first round, Scully said that Rocchigiani rushed him. “I sidestepped him and spun him in a circle,” he explained. “It was a great move. But in my mind, I thought he let me do it. I fooled myself into thinking he was better than he was. Unlike so many other fighters who were easy to motivate with cliché-laden speeches, Scully said that wasn’t the case with him. While he didn’t fall for any of those ploys, he was not beneath using them if the need arose. He remembers referencing a notorious crime-ridden block in Hartford, Connecticut, while trying to motivate a journeyman named Terry Seay against the then-undefeated future contender Syd Vanderpool. A lot of Scully’s book explores fighters like Tyson and Toney, both of whom he says are genuinely good human beings who are grossly misunderstood by the general public. That said, one might wonder if Scully, a highly intelligent product of the suburbs who had ample opportunity to go to college, is sometimes misunderstood for his choice of vocations. While in high school, Scully kept company with a Guyanese girl named Rita Khargie. They had an innocent relationship that consisted of him mostly telling her that he was going to fight professionally and become a world champion. He also predicted that she would someday be the mother of his child. Nearly two decades elapsed where they didn’t see each other, but three years ago they were shocked to find out that they actually lived within a mile of each other. They got reacquainted and are now the parents of a beautiful one-year-old daughter named Sarita Carol. The middle name is in honor of Scully’s late mother. Life is looking good for the eternally optimistic and always positive Iceman. He still enjoys boxing as much as he did when he was fighting neighborhood boys on his backyard deck for the WBC (Windsor Boxing Council) title. He is in love with his childhood sweetheart and their baby daughter, as well as the scores of fighters of all levels that he considers it a privilege to train. 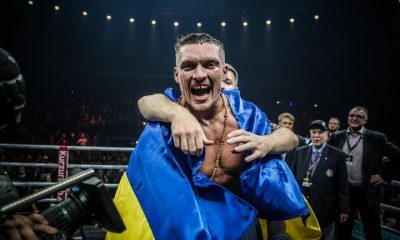 The Guardian reports that talks have already taken place between Nicolay Valuev‘s co-promoters – Don King and Wilfried Sauerland – and Danny Williams‘ promoter Frank Warren for Nicolay Valuev to face Danny Williams. I’d suggest Danny Williams needs to worry about Matt Skelton (who Williams is reportedly scheduled to fight in February) before he entertains notions of facing the Beast From The East. The Mirror in the UK looks forward to a big year in boxing for 2006. The Mirror considers what the future might bring for Joe Calzaghe, Amir Khan and Ricky Hatton, among others. The Parksville Qualicum News has an interesting column on the travails of former Canadian Super Middleweight title holder Mark Woolnough. Woolnough’s career turned controversial – as widely reported in the Canadian press – at the beginning of this year when Woolnough and four other men were charged with manslaughter and assault after a fight outside a Parksville nightclub. The case returns to court next month. It’s an interesting read, as Woolnough is still looking to the future with hope. Our own Marc Lichtenfeld provides plenty of food for thought with his Top Ten Wish List for boxing in the New Year. There’s plenty of good stuff here, but what really jumped out for me is Lichtenfeld’s opinion that a win over Zab Judah could have Floyd Mayweather knocking on the door of all-time great status. Seems to me this might be jumping the gun a little. Or is Marc right? Will it soon be time to call Floyd Mayweather Jr. an all-time great? Hot bantamweight prospect Raul “The Cobra” Martinez heads back to Chicago next Friday night as he is featured in the co-main event of SHOBOX “THE NEW GENERATION,” an action packed evening of professional boxing presented by Dominic Pesoli’s 8 Count Productions,’ HOME OF THE BEST IN CHICAGO BOXING, Kathy Duva’s Main Events Inc., along with Miller Lite and TCF Bank. The two-time national amateur champion sporting a perfect 12-0 record with 9 knockouts, six of which have come in the first round, will take on Colombian Andres “Andy Boy” Ledesma, 13-1 (8 KOs) in a scheduled eight round bout. 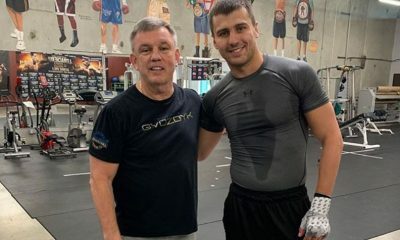 Speaking after a training session at his home gym in Georgetown, Texas, Martinez said, “I’m truly looking forward to returning to Chicago. 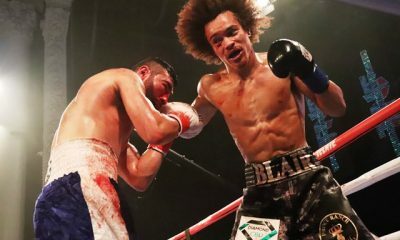 The fans were terrific in September, they were very supportive from the start of the fight,” an internationally televised first round knockout of Miguel Martinez on September 16th at the Aragon Ballroom. 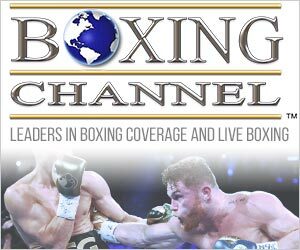 Headlining the evening is a ten-round welterweight showdown between boxing’s hottest prospect, unbeaten Joel Julio of Monteria, Columbia, and Ugandan native Roberto “The Doctor” Kamya. Julio, turning 21 years old the day before the fight, is 25-0 with 22 knockouts, twelve of which have come in the first two rounds. Kamya, now fighting out of West Palm Beach, Florida is 15-5 with four knockouts. Tickets, starting at $30, are on sale in advance by calling 312-226-5800. Cicero Stadium is located at 1909 S. Laramie, at the corner of 19th and Laramie, just ten minutes south of the Eisenhower Expressway and ten minutes north of the Stevenson Expressway. Doors for this evening will open at 6pm with the first bell at 7pm. Here’s the early call on many top matches scheduled for the first half of 2006: Happy New Year! As the new calendar dawns, there are already a considerable amount of premium bouts on the horizon. Things don’t look to be bogged down by undetermined championships next year. In many cases the scheduled face-offs involve the best fighters in the division, or at least close enough for general bragging rights. If anybody else with proper qualifications signs up to force the issue, all the better. It can be argued that some pairings could have taken place within a more optimal timeframe, or that some headliners carry distracting baggage, but there are certainly enough heavy hitters on deck. That nobody can deny. It doesn’t matter whether one considers the proverbial glass half empty or half full; there’s still the same amount of juice in the vessel. It’s nice to know that even with a high number of cancellations, there will still be plenty of important contenders on tap. With elite fighters in weight divisions from top to bottom on the agenda, it’s an equivalent to what fans in more mainstream sports expect in a consistent championship format. Baseball fans can almost always count on a World Series. Some hoops fanatics say too much attention to playoffs distracts unmotivated NBA teams during their regular season. In college, they project Sweet Sixteens. Football fans know there’s always a Super Bowl ahead to raise advertising dollars and test the USA’s halftime morals. So too, there is method in boxing’s current madness. The midnight crystal ball hasn’t even been unveiled in Times Square and there are already a number of potential thrillers scheduled. Most feature contrasting personalities that almost guarantee going along for the ride will be worthwhile. Any subsequent drops will probably be cheered. Don King jumps right out of the auld lang gate with a January 7th Showtime card featuring Zab Judah against Carlos Baldomir and Jean-Marc Mormeck in a cruiserweight unification against O’Neil Bell. 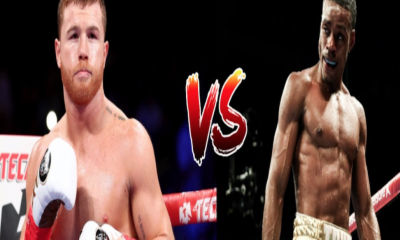 It will be the upset of the year, bar none, if Baldomir can tip the applecart before Judah gets to his scheduled super-showdown with Floyd Mayweather Jr. Meanwhile, Mormeck is emerging and should keep on rolling against Bell, who can expose him if he’s not for real. The proverbial Big Bang starts with a January 21st rematch of one of the finest fights of ‘05, when Erik Morales goes against Manny Pacquaio for the second time on HBO pay per view. The fact that Morales was upset by Zahir Raheem after beating Pacquaio was no real loss in box-office luster. Artful Raheem will get a spot on the undercard and hope his patience is rewarded. Everyone figures Morales and Pacquaio will pick up where they left off. Like the first time, the rematch is a pick’em contest. Management distractions and glove restrictions cited as Pacquaio’s previous problems won’t matter this time. The two are very evenly matched and their styles will make for another whapathon. It could come down to corners, where Freddie Roach gets the edge since Morales will have a new trainer for the first time since replacing his father after the Raheem lesson. February features four of the game’s most enduring attractions, in a pair of crucial matchups. First up, Showtime presents the Jose Luis Castillo – Diego Corrales tiebreaker from El Paso on Feb 4th. This is another pick ‘em pair, barring any sideshow. In boxing that disclaimer may be a stretch, since the sideshow is part of the act and the charm. As far as action inside the strands goes, every round these guys have fought has been great. There’s no reason to think that pattern won’t continue. Regarding the result, Castillo keeps the pressure on as he did in the second fight, but he’ll walk into trouble from a more reserved Corrales. We still don’t know which coin to flip. February also holds a better late than never affair between two perennial favorites as Shane Mosley collides with Fernando Vargas on the 25th. This fight could lead to a winning ticket in the Golden Boy sweepstakes for a fall bonanza against Oscar De La Hoya. Vargas has been in tougher recently, based on comparable strength of opposition stats, but he’s seen little action. What weight they enter the ring at may have a lot to do with the result. If Vargas has to struggle at the scale, Mosley might have the battle in the bag after round nine. 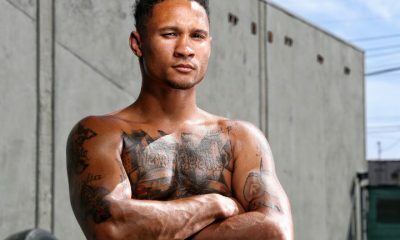 It’s hard to imagine Mosley getting stopped early, but Vargas doesn’t have to hurt him, he just has to knock him down three times. With natural size, he may be able to do just that, but Mosley would have to box uncharacteristically flat. Unless Mosley decides to heed the crowd, the most likely scenario is that Shane plays it safe, picks a few shots, and stays away enough to capture a comfortable, dull decision. An unbowed Vargas maintains his fan base but not his bettors. March both comes in and goes out as a lion. On March 4th Joe Calzaghe welcomes Jeff Lacy to Manchester UK for what may be the biggest blowout of the headlining bunch. Calzaghe gets the chance to prove his considerable home-based reputation once and for all, but if Lacy creams him as we expect, that glossy record will be severely tarnished. All Calzaghe has to do is make a respectable stand, but that’s no small task against the rising Lacy. A motivated Calzaghe, songs of England ringing in his ears, could pull a big surprise if he can exploit Lacy’s relatively limited technical development, but that’s a longshot indeed. It looks like Lacy can get by on power alone. He could soon emerge as a pound-for-pound leader. Old Joe’s hometown advantage will last about two left hooks. March 11th has the Ides of history to beware for at least one old lion, with farewell (we’ll see) fireworks featuring Roy Jones Jr. against Bernard Hopkins. Less than two years ago they were considered untouchable all time greats. Now between them they’ve lost five in a row. This goodbye fight is contracted at light heavyweight, for what seems like an oldies night. Hopkins is the senior at age 41 to Jones’s 37, but Roy seems more the grandpa figure, last seen hanging on against Antonio Tarver. Youth, as it were here, will prevail. This bout was signed quickly as each principal, usually sticklers for favorable contract clauses, agreed to parity in a demonstration of businessman first and fighter second. They may both expect easy marks. How much the boys have left by the time they get down to business remains to be seen. The history books will show this as a climactic career bout between Hall of Famers. At 175 pounds, Hopkins may be in for rude awakening. Jones may have been more thoroughly outfought recently, but he was rumbling with bigger, tougher men than Jermain Taylor or Howard Eastman. Respectable as he is, Taylor still falls short of the level of Tarver, at least for now. The difference is still fifteen pounds less pop. It will be quite a feat if Hopkins can stay in the fight, even at Jones’s advanced age. Our stars point to Jones winning in overwhelming fashion. On March 18th, James Toney meets Hasim Rahman in another pairing of seasoned war-horses. Toney and Rahman already had their introductions, when they brawled in Mexico during a WBC gathering to bestow Rahman’s new belt. Between formalities, Toney got married, which could bring up the old questions about carnal training. Let’s hope when they meet in the ring, they restore some of the fire missing from the heavyweights in ‘05. Toney might have an edge in recent form, but Rahman shows fine tuning he previously lacked. The winner might get newly “crowned’ Nicolai Valuev, an easy payday outside Germany. Rahman could be the heavyweight that finally makes Toney look like a blown up middleweight. But anything less than a top effort will probably lead to embarrassing night for the Rock and give Toney solid claim to being the true heavyweight champ. This might not be the most artful fight of the new season, but it could well be the most grueling, and the closest. He who’s faced the better big boys gets the nod. Advantage Rahman. March 25 features Marco Antonio Barrera, probably the strongest overall claimant to 130 pound honors. The likely opponent is said to be always tough Jesus Chavez. Chavez seemed rejuvenated when he met Leavander Johnson, but Johnson’s tragic death may have taken some of the steam out of thoughtful Chavez, said to have received Johnson’s family blessing to continue in Leavander’s name. That could mean a lot of inspiration. Either way, if he does meet Chavez, who hung tough with one arm against Erik Morales, Barrera won’t get any slack. The Fates say Chavez, whose wife recently served in Iraq, is a live, live underdog. Another clash to be King of the Hill finds Floyd Mayweather Jr, arguably the game’s finest practitioner, bumping heads with Zab Judah, one of very few boxers who rivals Mayweather in speed, skills, and brashness. Their hoedown, scheduled for April 8th, is one of the top pound-for-pound pairings in recent years. Judah will need a career best performance to have a chance of victory. That’s not to say he can’t pull it off, but currently Mayweather is in a different galaxy in terms of punching power. Slow-motion replays may be the only way to follow the flying fists once these two whirlwinds unload. Mayweather should be around a 4-1 favorite. Judah is good enough to make taking the odds an attractive proposition, since that’s probably as good of odds as one is likely to see on Floyd for a while. Mayweather will stop Judah in his tracks. 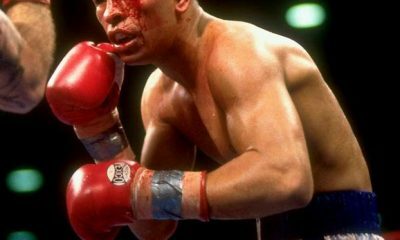 The first half of next year is set to conclude with the star power of Oscar De La Hoya, probably against noteworthy foil Ricardo Mayorga on May 6. 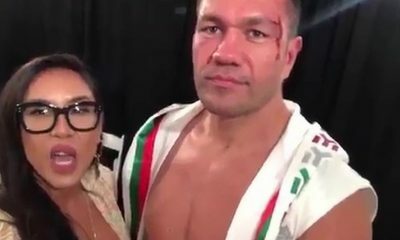 There could be some snags before a contract is finalized, but if it comes off count on Mayorga for promotional sound bite nastiness. One of the questions is whether or not he’ll be able to get under Oscar’s skin, and it might actually be entertaining to see the classy, model perfect De La Hoya show he’s human and freak out against the Nicaraguan maniac. Mayorga may have burnt his best bridges already. De La Hoya has not only the boxing skill to negate Mayorga’s offense, but enough power to end it early. If Mayorga rushes in and causes a cut, De La Hoya might get ruffled enough to duck into defense and Mayorga could get a decision that goes to the cards after six rounds or so. It will be wild for as long as it lasts. Pro boxing, like many sports, had its share of problems during 2005, but there were also many positives. Most notably, as usual, was superior and inspiring action inside the strands. Unless there’s a mass freeze-up at the top, early 2006 figures to see decisive interaction among many well-known fighters. If even fifty per cent of the aforementioned pairings come to fruition, it’s a strong likelihood the upcoming year has at least one very positive half. Arturo Gatti, Miguel Cotto, Antonio Margarito, Brian Viloria, and Shannon Briggs, to name a few, are also on deck. No matter how you chose to look at or measure mass qualities, there’s still just as much good to be seen.